Come and join us for a weekend of walking and silent meditation practice in the Cheviot Hills. Insight North­East is running a silent retreat weekend in Upper Coquetdale. Anyone with experience of meditation in any tradition is welcome to join us. There is no set charge, although you are welcome to contribute to the cost of the accommodation and food. A voluntary donation of £25 is suggested. Allow yourself a day of liberating silence. We are organising a silent practice day, consisting of alternating periods of sitting and walking meditation. Anyone with experience of meditation in any tradition is welcome to join us. 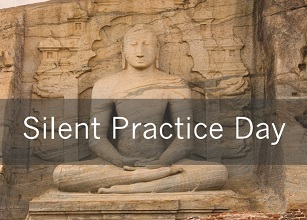 A day of silence is a great way to learn and deepen your meditation practice. It can help to attune you to your external environment and start to notice what’s going on internally. It can help you to slow down and practise being fully mindful in the present moment. There is no charge, although you are welcome to contribute to the cost of the room hire. Please bring your own packed lunch. Please feel free to download and pass on this notice to anyone you feel might be interested. The group met for a silent practice day at the quiet and atmospheric Village Hall in Cresswell, located at the southern end of Druridge Bay. With an early morning mist hanging over the countryside, and the tide lapping in-shore, it felt as remote as spot as it could be, and perfect for our day of sustained practice. A slightly extended group of 6 soon made the hall comfortable and conducive to practice, with candles and incense, and a shared sense of right effort and intention. A format was agreed for the day, mixing sitting with walking meditation sessions, and at 10am we settled into silence, which would remain unbroken until the end of the day at 3pm when the group reflected on their experiences and thoughts. The day opened with a 45 minute sit, followed by 30 minutes of walking meditation or yoga as preferred, and then a further session of 45 minutes sitting before a break for lunch. A number of the group took the opportunity to walk outside on the beach at lunch, exploring the dunes and shoreline in quiet, contemplative thought. We reconvened at 1pm for another 45 minutes sitting session, breaking again for walking meditation or yoga for 30 minutes before ending the day’s silent practice with a final 45 minute session of sitting. Afterwards, we shared our experiences, reflecting in part on the differences of each of our practices, which ebbed and flowed like the tide from one session to the next, but all agreeing that the practice had been both valuable and fulfilling. A short yogi-job session to clean the hall before we left gave us all the chance to come back to the “real world” and break our silence with jovial chat and friendship before we left for home (not before the little ones had time for an ice cream!). We are organising a silent practice day, consisting of alternating periods of sitting and walking meditation. A day of silence is a great way to learn and deepen your meditation practice. It can help to attune you to your external environment and start to notice what’s going on internally. It can help you to slow down and practice being fully mindful in the present moment. This day will be a chance to practise a whole day of sitting and walking meditation in silence. You can sit on one of the chairs in the hall, or alternatively bring your own cushion or a meditation stool. It’s open for anyone with experience of meditation in any tradition, who wishes to experience a period of silence within the accepting and supportive atmosphere of a group. Today sees the launch of this new website to support our Meditation Group, Insight North East. 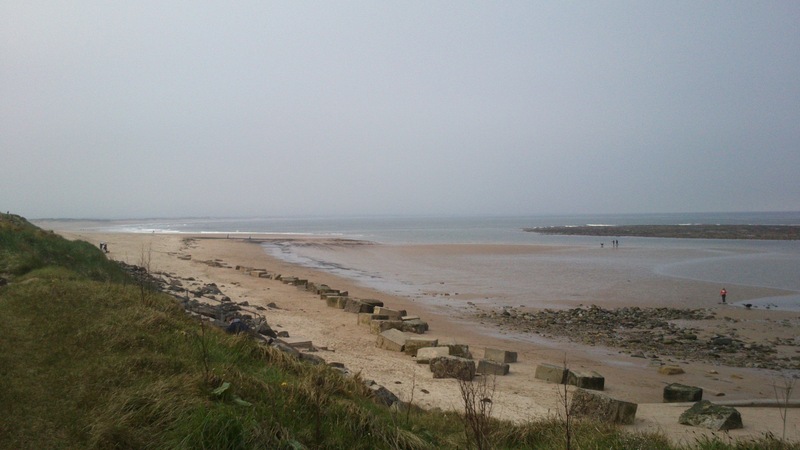 Insight North-East is a group based in Whitley Bay, set up to create a supportive environment in which members can practice mindfulness and develop insight. Our aim is to support each other in the practice and understanding of the teachings of the Buddha, and we have established a friendly, supportive community. The group practises insight meditation (also known as vipassana meditation) as taught in the Theravadan Buddhist tradition and we welcome anyone who has made a commitment to regular meditation practice. You do not have to be a Buddhist to join our group. Insight North East is a non-dogmatic, secular group in which the ambience that we develop when we come together helps us to grow and maintain our practice, bringing the Eightfold Path into our day-to-day lives and keeping us going when difficulties arise. Much of our learning happens not in the solitude of our meditative practice, but in the relationships we form with each other.